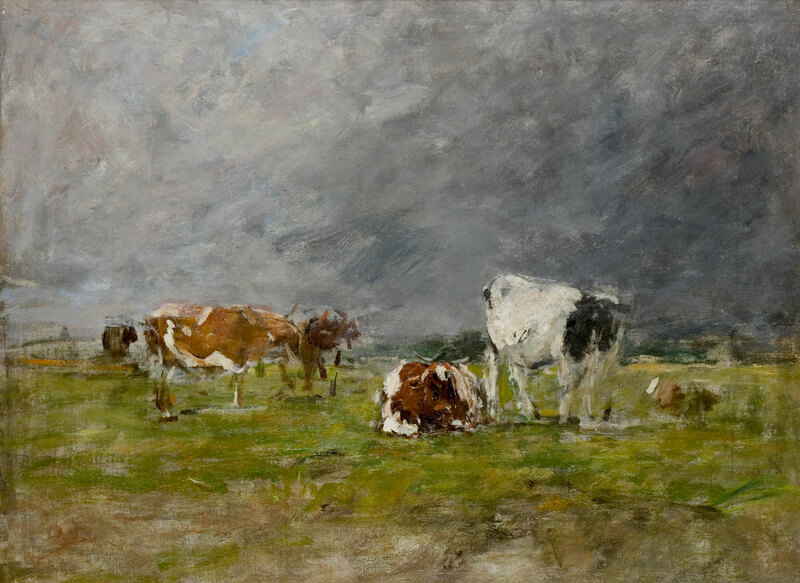 Eugène Boudin (1824–1898) developed an interest in the theme of cows late in his career. During a stay in 1881 in the Touques valley (a small river that flows into the sea between Trouville and Deauville), the artist painted and drew an extensive series on the subject. 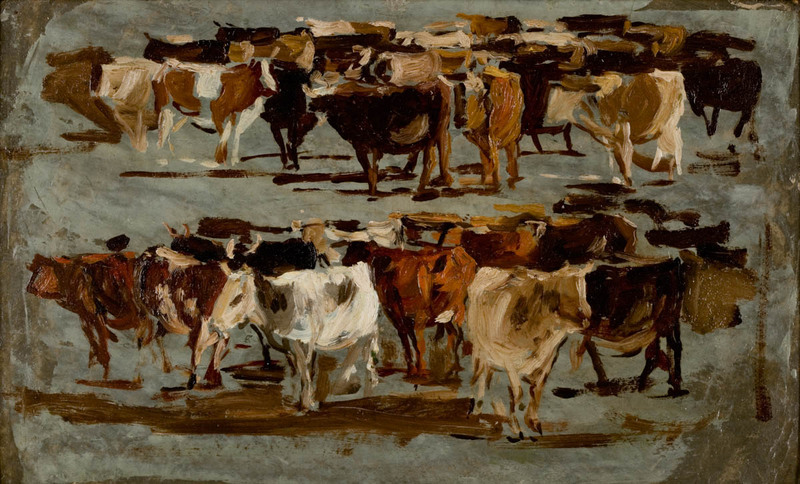 The portrayal of the cattle varies with the chosen formats and mediums (canvas, wood, board). The study theme, which reveals a little-known component of the artist's work, bears witness to his daily dealings with the heart of the motif. While these many studies of cattle were executed in the pastures on the banks of the Touques, very few panels show the animals in a specific environment. 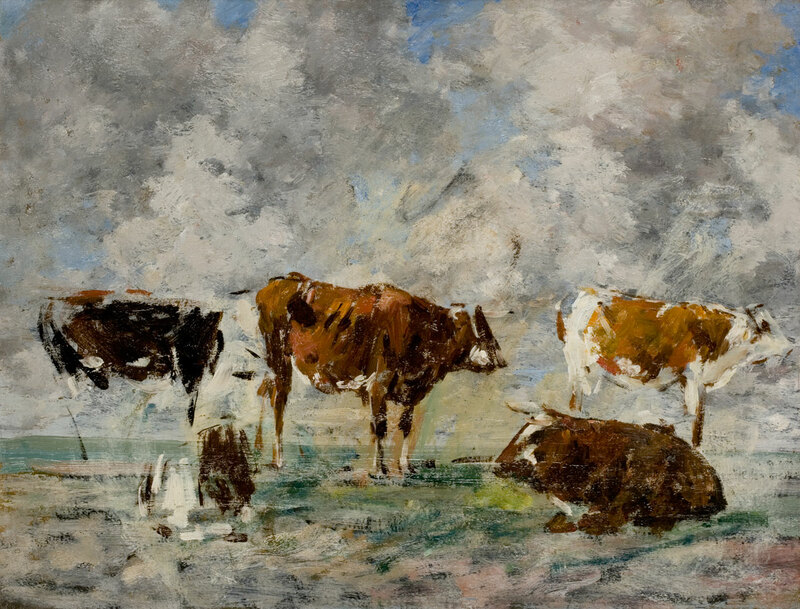 The cows are portrayed grazing or lying down, alone or in herds, sometimes conveyed with realism, most often lightly sketched against a rural background. Reduced to mere spots of colours, they blend together with the sky and the meadow in the same ensemble. 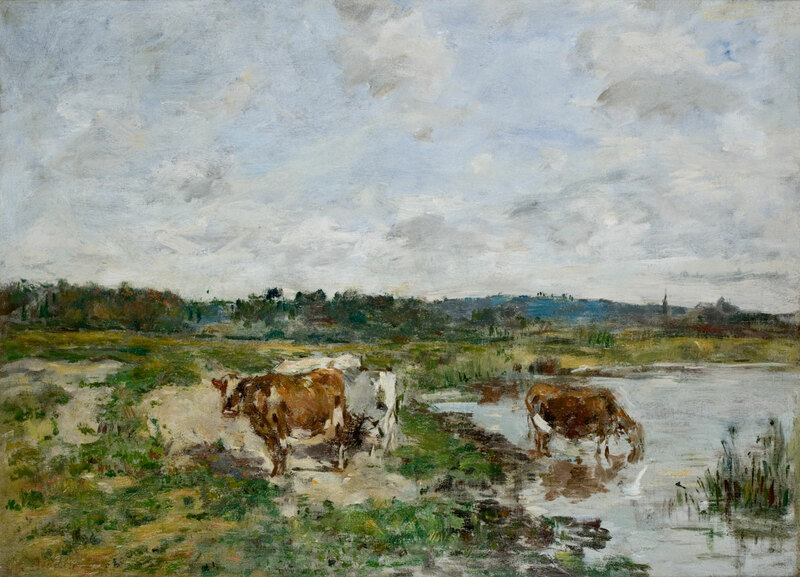 Boudin was not an animal painter and the cow was not the main subject of his paintings. Regardless of the postures and movement of the animals, they are the quintessence of the Normandy pastureland. The artist depicts the animal in a few brushstrokes to concentrate, as accustomed, on variations of colour and light. 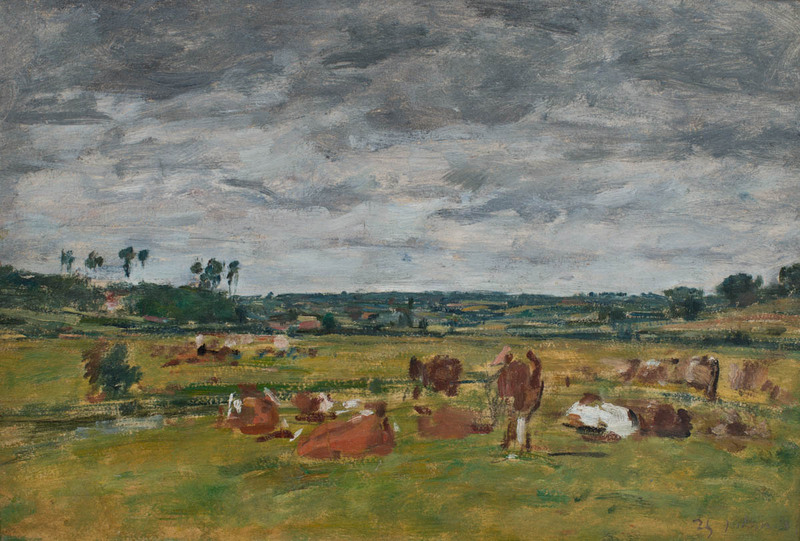 In this valley filled with motifs of the countryside just inland from Honfleur, Boudin produced another major series between 1888 and 1891, this time on washerwomen.